Tupat’s Hawaiian Poke Sauce is a unique sauce with an Asian and Polynesian inspiration that will leave your mouth watering for more. The sauce was inspired from my travels to Hawaii. 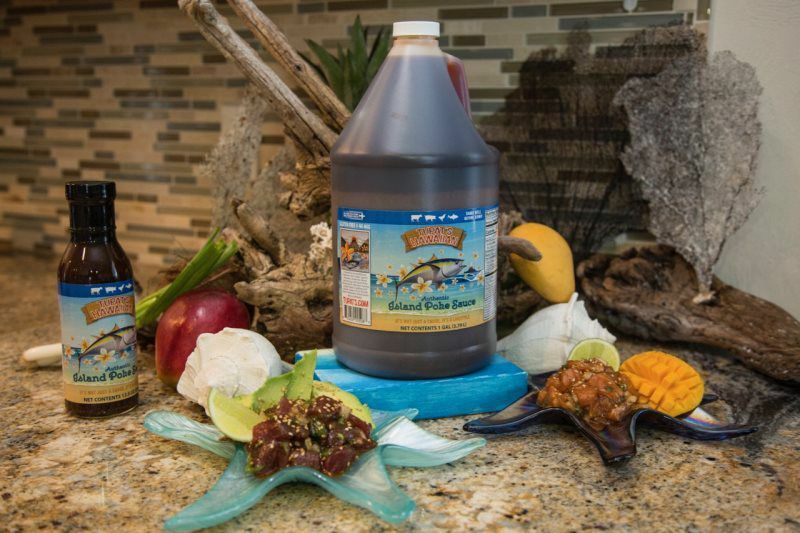 Experience the exceptional balance of flavors that Tupat’s Hawaiian Poke sauce has to offer. It‘s a perfect combination of sweetness, saltiness and spiciness that is pared perfectly with an excellent umami flavor. Our sauce is a lifestyle that brings people together to enjoy flavors they have never tasted. Inspiration was born from living the Hawaiian lifestyle for over 20 years and it feels great to share the flavors as I did in the Hawaiian Islands. From all of us here at Tupat’s Hawaiian poke sauce, we sincerely hope you enjoy our unique and diverse sauce. The opportunities and creativity with our sauce are endless. We are very excited to express our vision and ideas and look forward to “sharing the stoke” all over the world!